In this course, we invite you to cultivate a capacity to receive Love through learning contemplative method and the Enneagram which identifies nine distinct ways we contract from receiving Love. 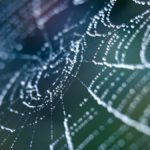 Between You and Love is an innovative extension to the Coming Home web course that combines Christian contemplative practice with the Narrative Tradition of the Enneagram in order to uncover and overcome your unique obstacles to giving and receiving love in your life. The question “What stands between me and love?” is central for all of us who are trying to live a more fulfilling and compassionate life. This web course will help deepen your relationships and explore what is working for and against you in your quest to love and be loved. Whether you took the original Coming Home course or not, this new offering from Leslie will help you situate yourself exactly where you are in your own field of love. Between You and Love is inspired by everything Leslie has learned from leading the Coming Home community over the last several years, and for the first time, includes her considerable knowledge of the Enneagram as applied to the Christian tradition, allowing you to hone in on your particular wants, needs, and patterns of loving with incredible accuracy. Contemplative method through the lens of the Enneagram not only cultivates presence, but also invites you into compassion which is a state of feeling energetically connected. Compassion is far more challenging than presence for it strikes deeply at your own conditioned nature. Compassion encompasses both subject and object and we recognize, as we listen to people articulate their own experience of their type, that we are deeply connected. It’s a practice. It’s cultivating spiritual capacity. It’s a shift from understanding in your head into an experience of Love in your heart. Welcome to Between You and Love. Eight audio reflection or guided meditation practices led by Leslie. Three special audio presentations on the Enneagram Heart, Head and Body Centers. Nine audio dialogues between Leslie and individuals representing the nine Enneagram types. PDF handouts for reflection exercises. Leslie Hershberger is a natural teacher, facilitator and writer who integrates the Enneagram in the Narrative Tradition, three centered contemplative practice and Integral theory to help people and groups understand themselves, others and the world through a deeper, more expansive lens. She also created the internationally popular web course Coming Home with Ken Wilber and David Riordan of Integral Life which helps Christians develop an evolutionary Integral Christian practice that harnesses the power of self-emptying love as embodied by the Christ. With a background in education, theology and integral theory, Leslie aspires to teach, value and embody the Haitian proverb, "I see from where I stand." Unit 2 Guided Meditation: The Radical Yes! Module 13 Who Do You Say That I Am? Unit 1 Who Do You Say That I Am? Save big when you register for both Coming Home and Between You and Love web courses. Click here to learn more about Coming Home. Patterns of Resistance: What Stands Between You and Spiritual Experience?